“We are Teachers” also has a post called, 10 Fresh Thanksgiving Crafts with History, Math, and Writing Connections. I was pretty thrilled to see that most of them were actually ideas I hadn’t seen before. If you want a fast, fun way to practice cursive writing, take a look at the “Thankful for the People in my Life” activity. Make a Turkey is a nearly 10-minute tutorial from Hopscotch, one of my favorite programming apps, that might get your students prepared for December’s Hour of Code extravaganza. 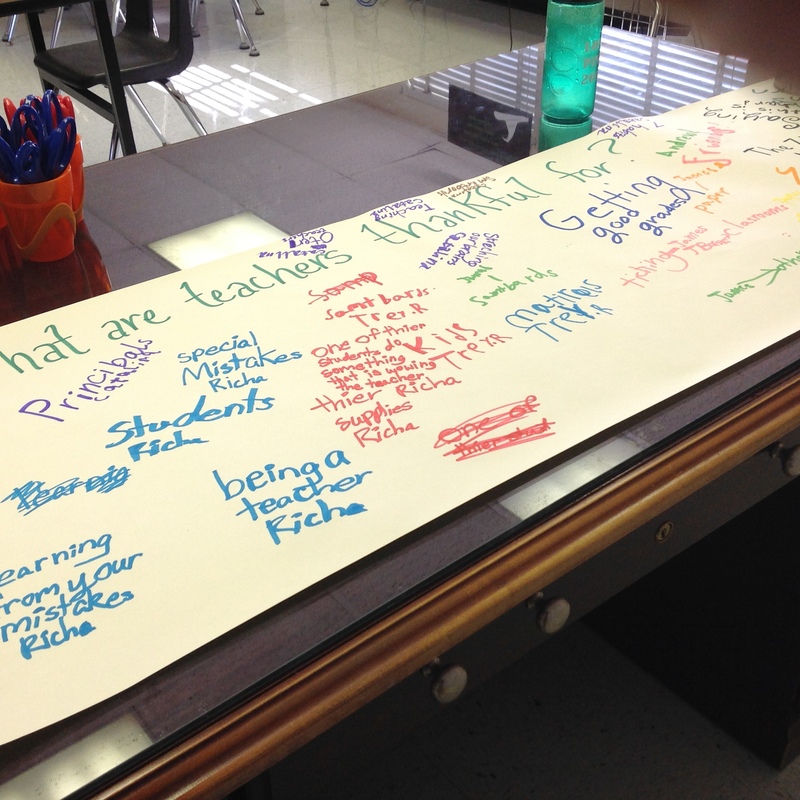 What are teachers thankful for? You might not see it in the picture above, but one of the students wrote, “Other teachers.” And that is very true. Thank goodness for all of the awesome educators who are kind enough to share their resources on the web for those of us who aren’t quite as creative! Thanks for re-posting this content. These critical thinking activities were really impressive.